The Shipmates Program is designed to give people from all backgrounds the opportunity to have this unique experience, so our price structure simply covers our staff, equipment, supplies, and planning time. 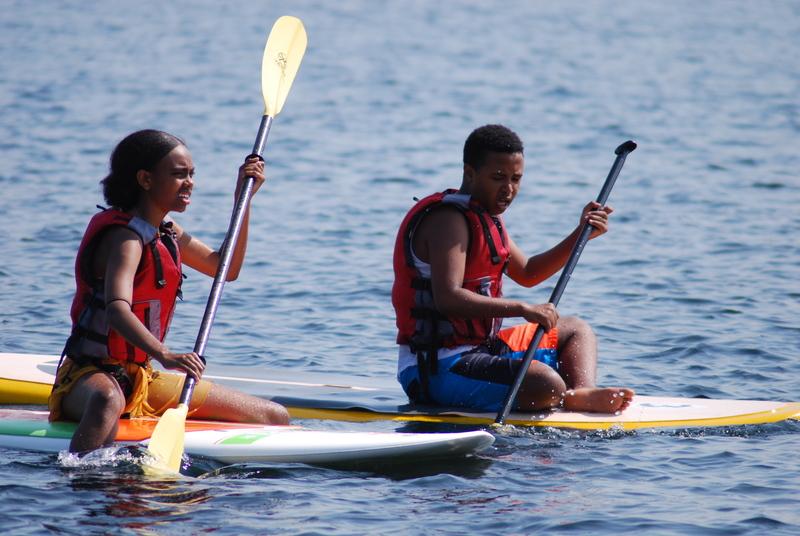 Sail Sand Point is proud to say that we have never let financial limitations exclude someone from playing and learning on the water. We encourage all groups to apply for a scholarship, which can be done at the time of your scheduling request. *Sail Sand Point may be able to accommodate group sizes of 35+ upon prior request and approval and based on equipment availability. For groups that may not be able to afford the full price of the program, we offer scholarships ranging from 25% up to the full cost. Scholarships can be requested when you complete our Shipmates Application. Although you will be asked to disclose your program activity budget and benefit to your program, all groups are encouraged to apply. In 2018, 77% of all Shipmates dollars were covered by scholarships!